Are you tired of high heating and cooling bills? Do you want to make your home healthier? Accurate Energy Audits provides building performance services to Southeast Michigan, we take a whole-house approach to energy efficiency. We keep up-to-date on all of the latest technology on energy efficiency, air quality, and building codes. 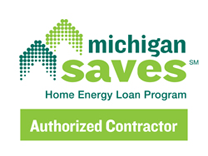 Our goal is to help you live comfortably, save money and energy by showing you how to implement affordable energy-saving measures. Our company has more than 30 years of experience in home design, construction, and energy efficiency. We are BPI trained and certified, licensed and insured. A.E.A. provides detailed informative reports that will help you make smart decisions on how to spend your money with the best return. Accurate Energy Audits was recently featured in the Building Business & Apartment Management magazine.